Create a clean, modern or classic look for any room. 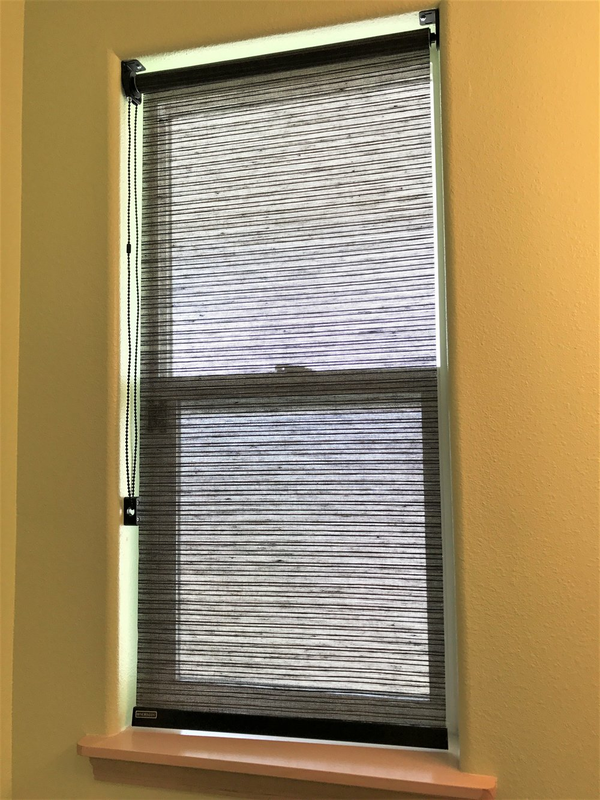 Roller shades come in a variety of fabrics and have several custom options for head rails, bottom rails, and lift systems. There's a great selection of fabrics including solids, subtle textures and vibrant patterns. Room darkening fabrics have an optional light guard to reduce the amount of light coming around the sides of the shade. Many of the fabrics can be used in the Skyline Panel Track system for sliding glass doors or a wall of windows for a coordinated look. Reduce the glare and maintain your view with the ever popular screen shade fabrics in solids and textures. We now have a program to be able to match your roller shades to 800 colors of paint and do custom graphics with our Color Lux and Persona programs.